Becoming climate positive means that the Liverpool-based manufacturer will contribute to the removal of more carbon dioxide from the atmosphere than it emits. To deliver on its commitment to protect the environment, the maker of the world-famous Mono supercar has partnered with the Poseidon Foundation. Poseidon gives individuals, organisations and governments the opportunity to rebalance their carbon footprint by supporting forestry conservation projects around the world using blockchain technology. 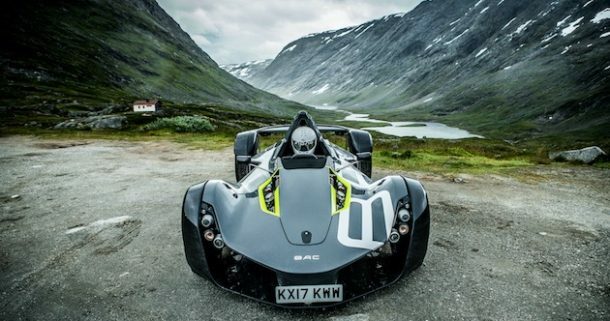 As the manufacturer of the world’s only single-seater, road-legal supercar used primarily to enjoy the sport of driving in its purest form, BAC is conscious of its environmental impact; and it will be taking measures to ensure current and future customers are offered the opportunity to do their bit for the environment. With immediate effect, BAC will rebalance the climate impact of its operations; namely the production and distribution of the Mono supercar worldwide. Whenever a BAC customer completes a transaction – from purchasing to servicing a Mono – they will be offered the opportunity to make an additional contribution through Poseidon’s platform which goes directly towards forest conservation. It is BAC’s aim to drive behavioural change in the automotive sector by engaging its customers in climate action. With the help of Poseidon, BAC will contribute to forest conservation projects around the world. One such project lies in Peru’s Cordillera Azul National Park, which is home to 6,000 plant species, 11 endangered large mammals, and where the average tree is over 400 years old. Efforts to conserve forests are incredibly effective because trees act as carbon sponges, providing a natural solution to climate change. BAC is no stranger to technological world-firsts – having developed the first hybrid carbon-composite wheels and body panels made from innovative material graphene. The partnership with Poseidon sees BAC lead the car industry on an environmental level, too. Ian Briggs, BAC Co-Founder and Design Director, said: “We are absolutely delighted to team up with Poseidon and take this important step towards becoming a climate-positive manufacturer. We already implement measures that reduce our carbon footprint; through our UK-based supply chain, using lighter weight materials and a higher grade of material in a more efficient way – and working with Poseidon will allow us to protect the environment even more. Laszlo Giricz, Founder and CEO of Poseidon, added: “We are thrilled to be partnering with BAC who, like us, believe that innovation is key to changing the world. If we don’t do more to change global behaviours, we will exceed the 1.5°C limit set by the Paris agreement by 2027. It is imperative that we work together to address humanity’s carbon impact and put a halt to climate change.